(Ph.D., Ohio State University, 1990) is a Professor with research interests in Southern Hemisphere middle and high latitude climate dynamics, Antarctic sea ice - (largescale)atmosphere interactions and global climate change and variability. 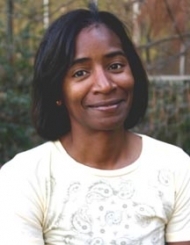 Dr. Raphael teaches classes in Tropical climatology, Boundary Layer Climates and Environmental Impact Analysis. Raphael, M.N., 2004: A zonal wave 3 index for the Southern Hemisphere. Geophys. Res. Lett., 31, doi:10.1029/2004GL020365. Raphael, M.N. 2003 Recent, Large-Scale Changes in the Extratropical Southern Hemisphere Atmospheric Circulation. J. Clim., 16, No. 17, pp. 2915-2924. Raphael, M.N. 2003: The Santa Ana Winds of California. Earth Interactions. 7, 1-13. The Santa Ana Winds of California, Global Climate Change and Variability, Climate Modelling, Atmospheric Circulation Dynamics, Southern Hemisphere Atmospheric Circulation and Climate, Antarctic Sea Ice Variability.